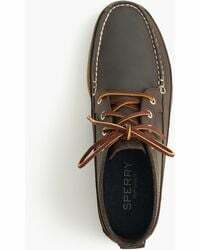 Paul Sperry was an avid sailor who almost lost his life to a slippery boat deck. 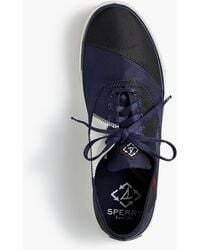 Turning his eye to innovation, he spent years experimenting with non-slip shoes. 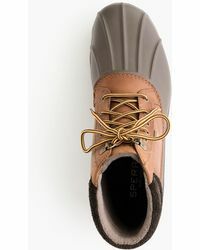 Upon witnessing his canine friend move effortlessly across ice, the talented craftsman decided to mimic dog paws on the bottom of a rubber sole 'thus the world's first boat shoe was born in 1935. 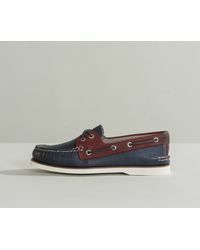 Today, Sperry Top-Sider has grown into a full line of covetable swimwear and accessories. 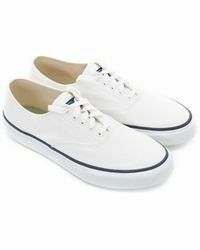 Men's Sperry Top-Sider shoes are imbued with a preppy, East Coast appeal. 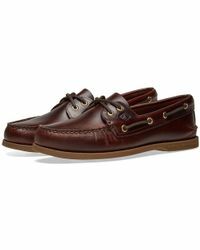 Featuring trademark grooved soles, each slip-resistant deck shoe, boat shoe, boot and sneaker is the perfect holiday companion. Choose from comfortable leather, suede and canvas designs to suit a wide range of occasions. 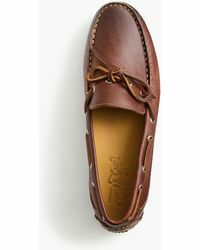 Showing 2,424 results for "Men's Sperry Top-Sider Shoes"